This is for my friend who teases me that I always say I made a "big" salad. 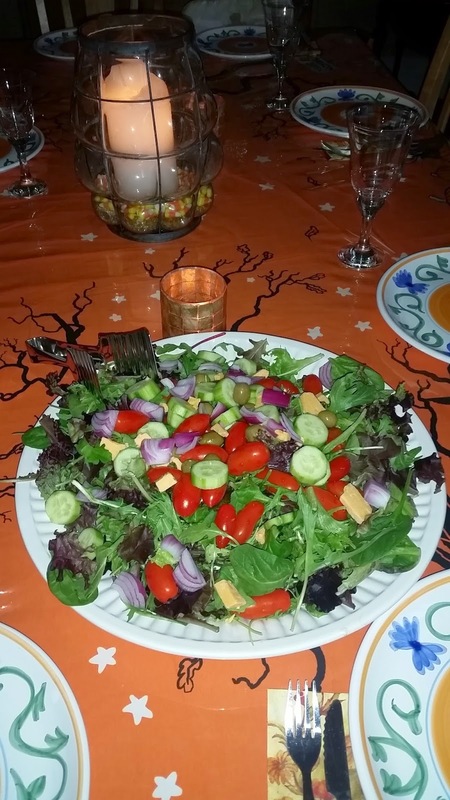 So, here is my big salad that will go along with tonight's dinner. Had a busy few hours with soccer. Glass of wine in hand now though and am looking forward to seeing my friend and her family who should be here soon.